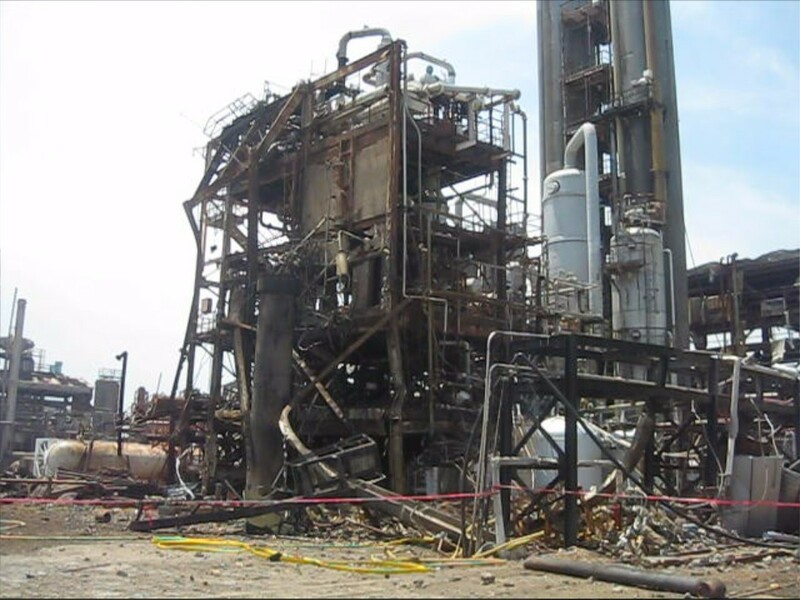 At 05:07 hrs on May 15, 2012, the NRC was notified of a explosion and fire at the Eldorado Chemical Company, Eldorado, Union County, Arkansas. 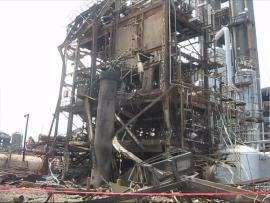 The incident occurred at approximately 04:00 hrs and resulted in the evacuation of the plant (appx. 30 personnel). No report of injuries. It is believed that no offsite orders were given by the Union County Office of Emergency Services. According to representatives of El Dorado Chemical, the explosion occurred in one of two reactors of their Direct Strong Nitric (DSN) acid process unit. Projectile(s) from the explosion ruptured a nearby molten sulfur storage tank resulting in several hundred tons of molten sulfur being released to the ground. The molten sulfur ignited and was extinguished by the local fire department. The fire was extinguished at approximately 05:30 hrs. OSC Foster was notified of the incident by the Duty Officer and dispatched at approximately 06:00 hrs.